Having a Kabuki Syndrome Sibling can be super tough. Do you have a sibling? Would you like your sibling to die? Of course you don’t. I know what you are thinking worst case in scenario? Wrong! This is just one little thing that could or would happen. Kabuki Syndrome is a very serious thing too. It’s hard for the sibling, parent, the victim, and the entire family. It’s super stressful for the sibling of the victim. That sibling now has to do a lot on their own. They don’t get a lot of attention and they are ignored a little because the parent has to pay more attention to the victim that is sick most of the time. It’s not a fun thing. Either way it goes you do not want Kabuki Syndrome. 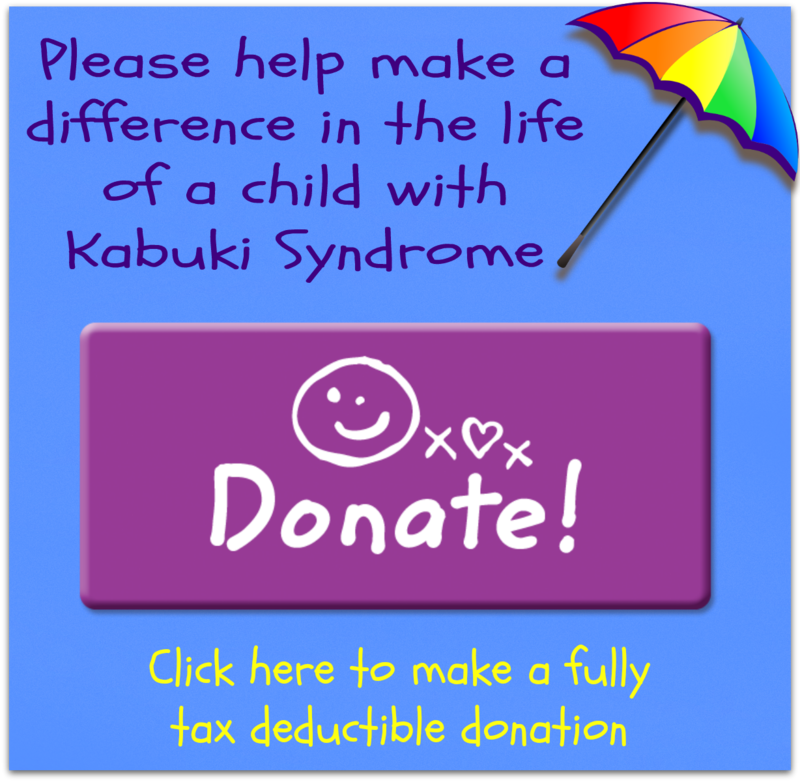 Kabuki Syndrome… G-tube to being sick to almost dying, its tough. A 2 minute oral presentation written by Holly. The presentation is entitled "My Brother Zac". I love my brother with all my heart. Every time I hear people call the intellectually challenged ‘retarded’ or use it as a slang word. Each time I see people stare and make faces at my brother. I think of him and how the people in this world see him and it breaks my heart. I know that all the love I, and everyone who knows him, has for him won’t change how people regard him, and that is tragic.